Enquiry on business visa ? Kindly please advise me on the business visa for Indian passport holder. Im living in Singapore and working here as Singapore Permanent Resident. 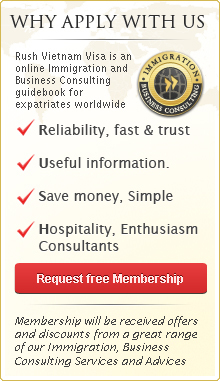 If I need to get business visa can I apply online via your website? How much the cost will be and how fast I can get it. Can I get on arrival visa as well? We would like to answer you as follows. Firstly, as Indian passport holders, you can apply Vietnam visa on arrival with us. You are required to provide us the following information for further process. Secondly, because the visa procedure and fee required by Vietnam Immigration Department for Indian citizenship is different from others which appears in our list. Kindly confirm us your type of visa for further advice (one month or three month visa/single or multiple entry visa). Guaranteed processing time is 2 working days. We look forward to your reply soon.